The bridge as seen from the shoreline. 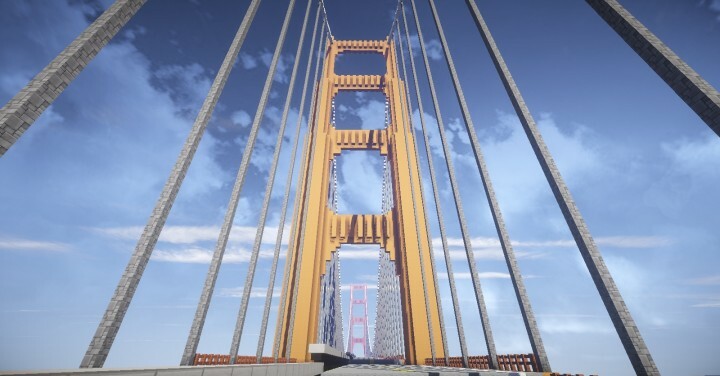 A view of the majority of the span. A perspective of the major compression towers. The view right before entering the bridge, complete with lane indicators. The anchorage section on the Fort Point side of the bridge. 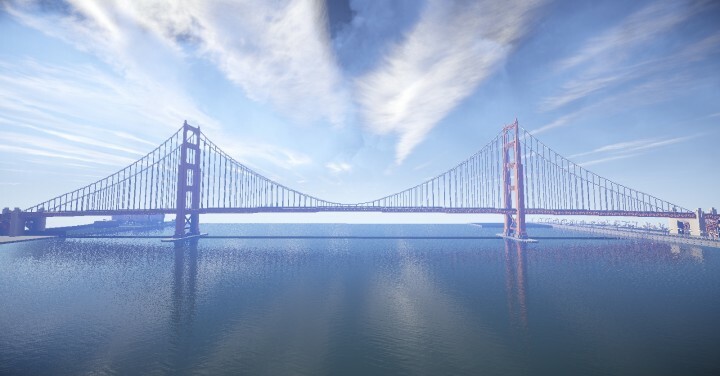 A rendition of the famous Golden Gate Bridge located in San Francisco. 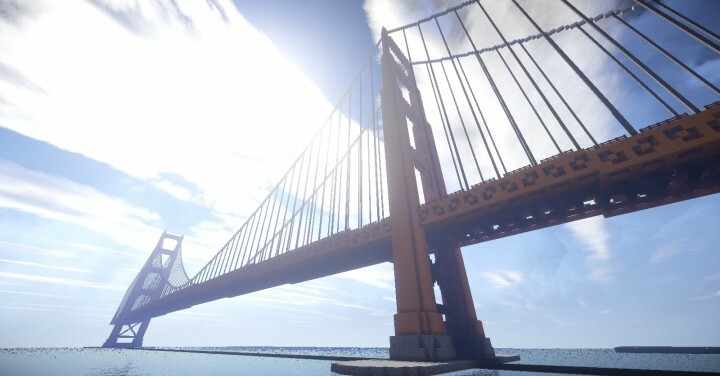 The bridge is 938 blocks long. 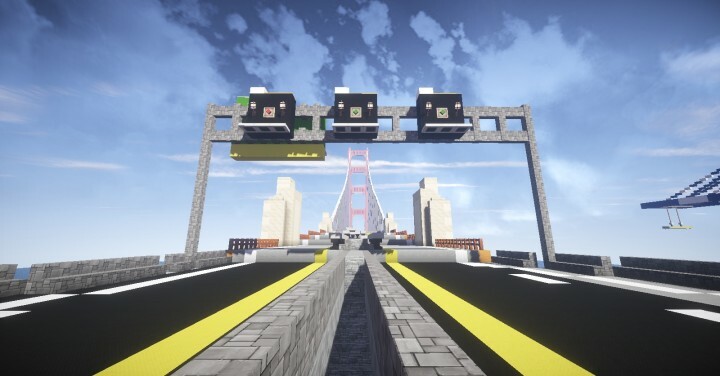 I built this bridge to fit in with my main map Mine County, and as such it features three variable-use lanes to keep the scale correct to the rest of my world. Very nice! I was trying to build a bridge too, and when it came out it was by no means as impressive as yours. Full of detail! because red was too mainstream? hahaha great work! Ahaha yeah, I didn't want to make it out of wool and the red stained clay in Modern HD was too dark, but I like orange so I stuck with it :P Cheers mate! Amazingly done. 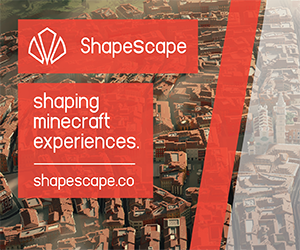 I really need to work on a bridge to link my two cities together. Thanks! 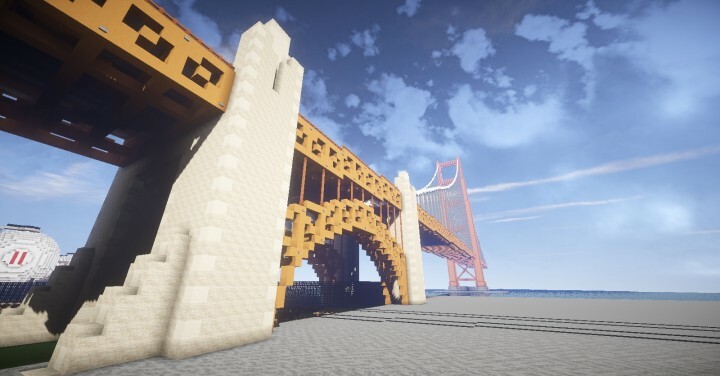 Bridges are a hell of a lot of fun and a whole hell of a lot of work, but they really add dimension to a map!